Have you driven a Ford lately? In the future, that car may just drive itself. One of the biggest announcements coming out of the upcoming Consumer Electronics Show in January may have nothing to do with laptops, smartphones, or home gizmos. During the show, Ford will reportedly announce a partnership with Google to build self-driving cars. 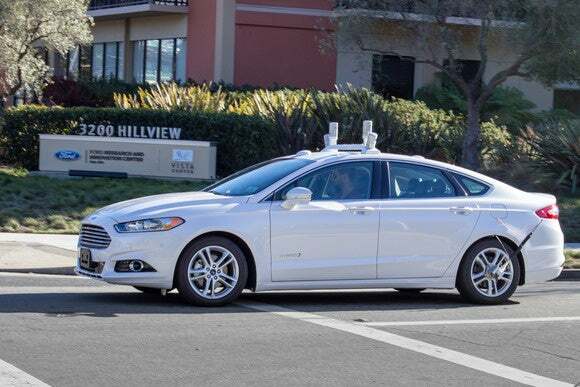 The new autonomous vehicles may not carry the Ford brand, as the two companies will work on a joint venture that is legally separate from Ford, according to Yahoo Autos. The news comes mere days after Ford announced it would start testing its own fleet of self-driving cars in California beginning in 2016. 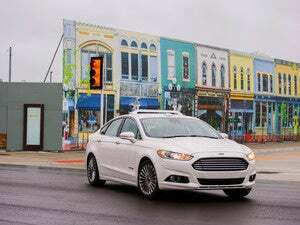 Those tests are expected to use Ford’s autonomous Fusion Hybrid, but it’s not clear if the software powering them will be Ford’s or Google’s. Even if Ford retains its own autonomous software as a back-up, it’s clear Google is far ahead of any car maker in terms of development. Google’s self-driving cars have been a sight on California roads since 2010. While Google has a deep knowledge of the software needed for an autonomous vehicle to navigate traffic and city streets, the company lacks expertise on building cars on a massive scale. That’s likely the major reason Google co-founder Sergey Brin said in September that Google would look for partners to create the vehicles. The story behind the story: Ford may be Google’s first self-driving car partner, but Yahoo Autos says the deal is non-exclusive. In other words, Google will look to work with more car makers. The company may even want to do something similar to what it does with Android and mobile devices. Instead of building cars itself, Google may just create the software that makes the autonomous vehicle possible, and leave it to manufacturers to churn out actual cars. That’s just speculation, however. Google built its first set of self-driving cars in 2015, suggesting the company does want to have at least some say in how a self-driving car would be designed. Bloomberg reported in February that Google plans to create a ride-sharing vehicle fleet to compete with companies such as Uber. When—if—Ford does announce its partnership, it may not be a Ford-Google partnership for very long. Google’s new parent company, Alphabet, plans to turn the self-driving car project into its own subsidiary in 2016, according to Bloomberg.